A ‘LET’S Talk about cancer’ event at Macy’s Café (Grangeway Community Centre) organised by Halton Council and its partners has been hailed as a success. Thee event on Wednesday, May 9 at Macy’s Café saw teams from the council’s health improvement team, Halton Housing, Widnes and Runcorn Cancer Support and MacMillan joining forces. It was open to all members of the public, offered health advice and information particularly around cancer signs and symptoms and prevention. Health Trainers completed 24 blood pressure checks; 23 lung age checks; four people referred into the stop smoking service and additional general discussions around cancer and prevention such as checking yourself and staying healthy and active. 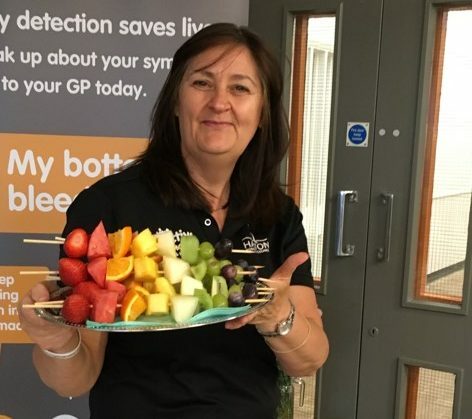 Halton Council’s executive board member for health and wellbeing, Cllr Marie Wright, said: “The Let’s Talk About Cancer’event was a great success. Castlefields’ summer fete a success!